After what seems like an eternity, the Samsung Gamepad is just about ready for release. The accessory is designed to clip onto smartphones sized between 4 and 6.3 inches, but it can also serve as a Bluetooth controller for larger gadgets, including the Samsung Galaxy Tab 3 range. And it seems Samsung wants to capitalize on the Gamepad's tablet gaming potential with a new bundle, dubbed the "Galaxy Tab 3 Game Edition." 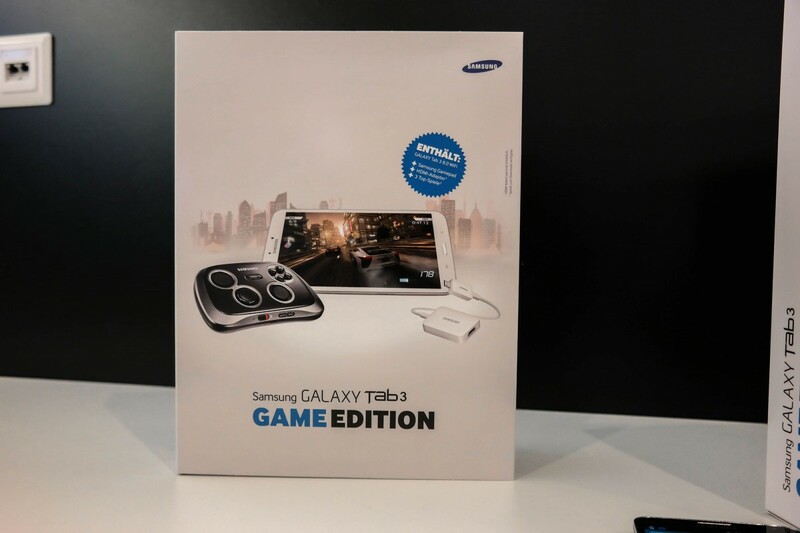 Sighted in box form by Samsung fansite AllAboutSamsung, the Galaxy Tab 3 Game Edition includes a Samsung Gamepad, a Galaxy Tab 3 8-inch tablet and HDMI adapter. That combination should allow you to play supported games on the Tablet using the Gamepad over a Bluetooth connection, or on a larger display using the tablet and controller in "console mode." There's no word on when this bundle might appear on store shelves, but with a European release for the Gamepad said to be imminent, hopefully there's not too much longer left to wait. For more info on how the Samsung Gamepad enables console mode, check out our hands-on feature with the device.